With the winter just around the corner we are pulling out the winter coats and also our horses blankets. And every winter comes the debate whether to blanket or not to blanket your horse. This year though has also come along with an article that has everyone talking… This is an article that surfaced a few years ago and has recently popped back up on Facebook. It starts out saying that the CSU (Colorado State University) has done a study recently with thermal technology. 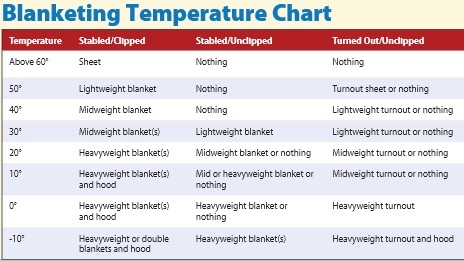 It later says “Horses have the ability to loft and lower their coats to 17 different levels, so it’s like exchanging 17 different thermal weights of blankets off and on them all day and night, depending on what they need,” and, “Only three things make the ‘self-blanketing’ process not work: blanketing, clipping and wind. Not even snow or rain stops their own thermostats from doing the job.” Looking at the article you would never know that this was a hoax and that there has not ever been a study at CSU. Blanketing is very different for every horse it depends on breed, weight, climate, his work load, and even their coats themselves. 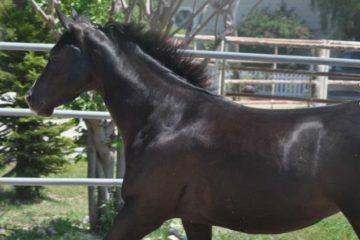 Horses that are used to the colder weather and have spent most of their time outside do better than those horses that are stabled all the time. It also depends on the climate weather it is just cold or cold and raining or even snowing. So when deciding if you need to blanket or not here are a few charts to look at. Also here are few tips on blanketing from Dr. Luke Bass DVM. Only apply blankets to clean, dry horses. Use the appropriate blanket for the appropriate use. A turnout blanket is for use during turnout and is designed to be waterproof. Horses that live in the elements wearing blankets should wear waterproof and breathable blankets. A blanket that is not waterproof will quickly become saturated, making your horse cold – the opposite of the desired effect with blanket use. If you have decided to blanket, use the blanket weight that is most appropriate for your horse’s needs and the weather conditions. If it’s 40 degrees, your horse probably only needs a lightweight blanket. If it’s 10 degrees below zero, he might prefer a heavyweight blanket. Sweating in a blanket on a hot day can be just as problematic as wearing a non-waterproof blanket in wet weather. 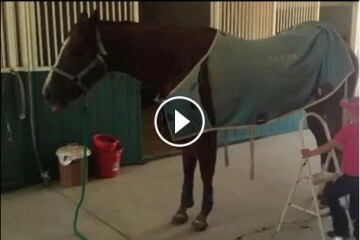 Remove your horse’s blanket and groom on a regular basis. Stay warm ad I leave you with these words from a favorite man of mine, Abe Lincoln “Everything you read on the internet is true. Written By Jona Lane. I wonder how many people decided not to blanket their horses based on this fake study? Share this on Facebook and spread the word to other horse owners who may believe the internet hoax! 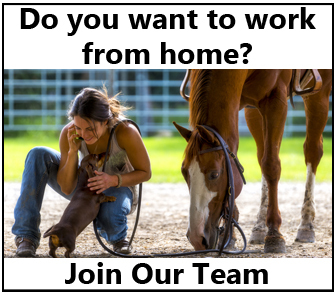 Horse Feed Recall – North Carolina, South Carolina, Tennessee and Virginia – Please Share! 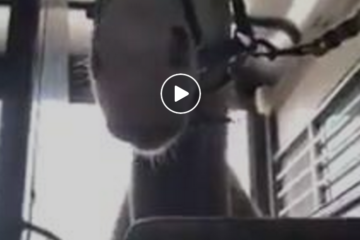 Watch How This Little Girl Unblankets Her Horse – Where There’s A Will, There’s A Way!